Cath Kidston Group Limited (“Cath Kidston Group”), the global lifestyle brand, announces that its shareholder Baring Private Equity Asia (“Baring Asia”) has acquired the equity stake of TA Associates, the US private equity company, becoming the controlling majority shareholder. Baring Asia has been a shareholder in Cath Kidston Group since July 2014 when it acquired a minority stake from TA Associates. Baring Asia is one of the largest and most established independent private equity firms in Asia. Successful expansion across Asia has been a key strategic priority for Cath Kidston Group for some years and Baring Asia’s expertise in the region was, and continues to be, a prime attraction for the group. Cath Kidston Group products are now sold in 15 countries across Asia and the Middle East, with 70% of Cath Kidston Group’s 226 stores today located outside of the UK. Since Baring Asia’s initial investment in 2014, the number of Asian stores has increased from 91 to 133. Its first stores in India are set to open in early Autumn 2016 with an initial two stores in Delhi, and store openings in Mumbai to follow. William Flanz, Senior Advisor to Baring Asia since 2003 and ex- Chairman and CEO of Gucci Group, N.V., will become Chairman of Cath Kidston Group and will replace Paul Mason who is stepping down as Chairman after six years in the role. TA Associates, which first invested in Cath Kidston Group in 2010, will no longer hold a shareholding in Cath Kidston. “We are entering a really exciting new stage under a single owner. Baring Asia’s decision to increase its shareholding is a fantastic endorsement of the potential of the Cath Kidston brand and I would like to welcome Bill Flanz. When Baring first invested just over two years ago we said we wanted to find the right partner to help us manage the development of the brand in Asia and exploit its full potential, and Baring has been invaluable in helping us do this. TA Associates has been a long and trusted partner since 2010. Paul Mason recruited me to Cath Kidston and was instrumental in why I took the job as CEO. Paul has been with us every step of the way in an exciting journey where the business has grown rapidly in the UK and overseas. I would like to thank him for everything he has done for Cath Kidston and his support in transforming it into a truly global business. “I have enjoyed six great years helping to build a fantastic team and turn Cath Kidston into a successful international business. When I joined, Cath Kidston had only six stores outside the UK. Today it has over 200 stores around the world, Japan is its second biggest market, it is entering India and working on launching into Latin America. We have recruited some of the best names in global retail to the Cath Kidston management team. I have enjoyed my time at the company immensely and wish the business the very best for the future”. 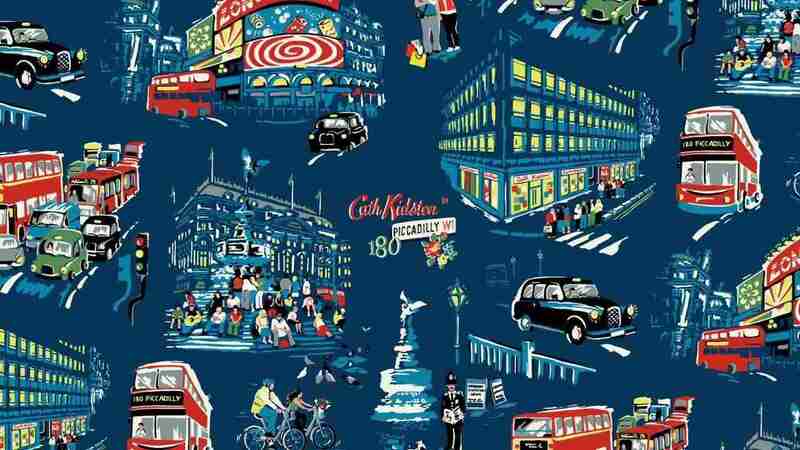 Founded in 1993 with a single shop in London’s Holland Park, Cath Kidston Ltd is today a fast-growing global lifestyle brand with stores in 19 countries including France, Hong Kong, Indonesia, Philippines, Japan, Korea, Malaysia, Singapore, Spain, Taiwan, Thailand and the UK. In January 2015, the brand opened its first store in the Middle East on Olaya Street, Riyadh, Saudi Arabia and now operates a further 15 stores across the region. Known as the “home of modern vintage”, the brand offers a range of products from accessories and womenswear to childrenswear and home furnishings. For more information please visit www.cathkidston.com. Baring Private Equity Asia is one of the largest and most established independent alternative asset management firms in Asia, with total investments and committed capital of over USD 10 billion. The firm runs a pan-Asian investment program, sponsoring buyouts and providing growth capital to companies for expansion or acquisitions, as well as a private credit and a pan-Asian real estate private equity investment program. The firm has been investing in Asia since its formation in 1997 and has over 140 employees located across offices in Hong Kong, China, India, Japan and Singapore. Baring Asia currently has over 35 portfolio companies active across Asia with a total of 150,000 employees and revenue of approximately $31 billion in 2015. For more information, please visit www.bpeasia.com.